Healthcare providers are investing heavily in technology solutions as they grow, merge, and position their practices to keep pace with new government regulations–and that’s where enterprise mobility management, or (EMM), comes in. Just as we are seeing across multiple verticals, physicians and their support staff are more mobile than ever, providing services at facilities owned by their group or at outside facilities. Mobility is a driving factor in business operations, regardless of the vertical, and for medical practices, this is particularly true. As a result, this necessitates access to a comprehensive portfolio of mobile functionality that is both integrated and which also securely supports a practice’s clinical activity. Historically, healthcare providers have purchased one-off applications and security solutions to keep pace with their needs. With the rising popularity of mobile healthcare, providers are looking to partner with more comprehensive solution and service providers. The priority is to move to a single, secure and manageable technology umbrella that is not only cost-efficient, but which also possesses internal integrity. And EMM should be a priority when making this shift. EMM allows providers to maintain HIPAA compliance while also supporting bring-your-own-device (BYOD) technologies. It also helps streamline IT administration. Sensitive patient and organizational data is being exchanged via email using mobile devices. Emails exchanged between physicians within a group, physicians to office staff, and physicians to specialists outside a group are examples of enabled communication on mobile devices within a secure structure. Calendar and schedule management are obviously important in clinical practices. While physicians, administrators, and staff need to manage traditional data—things like office and personal calendars—healthcare providers have some unique needs and challenges as well. In healthcare, the calendar is different from scheduling. The calendar may show that there is a meeting with the compliance team on a certain day, while scheduling supports the timing and place for visits and procedures, such as a procedure at a hospital in a given room at a specific time. Meetings and schedules need to be managed within a group’s facility, as well as between contracted partner facilities. The mobility of physicians places a high priority on the offering of mobile calendar and scheduling applications. Contact information for on-call physicians, board members, staff, administration, committee members, etc., is critical to day-to-day business operations and must be available, searchable, and secure on smartphones, tablets and laptops. Healthcare providers create, share, and store sensitive data in various file formats. For example, board meeting presentations, committee minutes, practice policies, procedures, and financial statements are just a few examples of documents shared via mobile devices. Making this process easy, seamless, and secure is an integral part of day-to-day business operations. Internet access via secure browser. It’s important to healthcare organizations to be able to provide both physicians and staff with the ability to browse the Internet using a variety of devices. Mobile access to clinical diagnostic information from national sources helps staffers research diagnostic options, treatment protocols, and other information relative to patient care. Network access control, information security, and policy enforcement are high priorities for information search applications. Texting occurs with a variety of personal mobile applications, however, much of the data shared by physicians and staff via text message is sensitive and needs to be secured—whether they realize it or not! This includes things like patient care notes, case questions, and physician referrals.In addition, separating personal texts from patient texts is important for maintaining compliance—and is likely something medical practice staff don’t understand. Healthcare providers are required by various federal agencies, insurance companies, and hospitals to track quality information. In fact, starting in 2015, these agencies will make deductions to payments if healthcare providers do not track and provide this data. This is where cloud technology comes in. Enabling physicians to record information on a mobile device and immediately send it to the cloud greatly enhances both the data quality and the reporting. Healthcare providers can then format the data using reporting and business intelligence tools—a win-win for everyone! Mobile devices traditionally do not host or store source files for patient documents, however physicians enter a great deal of patient data on mobile devices. Different data types, such as patient photos, require the use of a different device, so it is important that healthcare practices implement a mobile solution that supports both phones and tablets. Physicians use mobile devices to update portions of their patients’ medical records, including patient status and care notes, as well as requests for additional diagnostic tests. Having the right system in place to support this, and provide security for sensitive patient information, is critical. Physicians have an important need to access key information about appropriate prescription protocols, dosages, and potential drug interactions, and their mobile devices are typically the easiest devices on which to do this. Having the right systems in place, combined with the right security protections, is a key component of day-to-day healthcare business operations. In summary, what I’m hoping is clear is that smartphones and tablets are quickly becoming an important tool in the healthcare environment. They allow for the expeditition of diagnoses, more rapid treatment and information sharing, better, more efficient collaboration, efficient reimbursement of expenses (e.g. insurance claims), and planning. The ease of use and overall security of any mobile initiative are a top requirements in order to support safer, more cost effective, and comprehensive care. With so many uses for mobile devices in the healthcare industry, enabling BYOD should be top of mind for medical practices. It can be cost-efficient, while still protecting patient privacy. When you’re looking for the right EMM solution to help you solve your mobile healthcare needs, take a look at one that enables you to secure and manage enterprise workspaces and devices—including smartphones, tablets, laptops and desktops—regardless of who owns the devices. A version of this post was originally posted on the Dell Tech Center Blog. 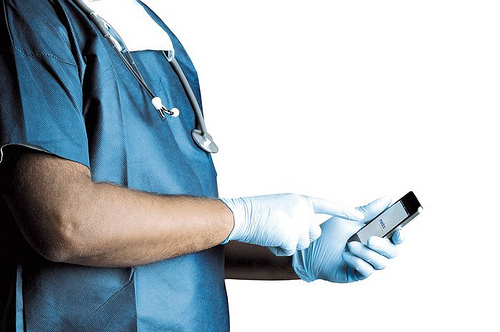 Is your doctor tapping away on a smart phone? Concerned about security? Don’t be. Enterprise mobility management (EMM) is opening new doors for today’s digital medicine practitioners. John Boyle is a principal product manager for Dell Enterprise Mobile Management (EMM) on the Dell Mobility Software Solutions team, and he has a passion for social media. 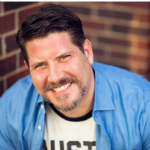 With over 20 years of experience in enterprise and mid-market software, he has expertise in mobile, business intelligence, healthcare, insurance and financial services. In 2012, he was named one of the 2012 #Nifty50 Top Men in Technology on Twitter by Blue Focus Marketing. Follow John on Twitter, LinkedIn, Facebook, Dell TechCenter and his personal blog, BrandFlair.com.